While a Winter Storm/ Blizzard dumps heavy snow along the Colorado Front Range and the Plains into the Midwest, a severe weather threat and chance of tornadoes exists tomorrow in Mississippi, Alabama, Tennessee, and Kentucky. SPC has issued an ‘Enhanced Risk’ of Severe Weather for 2/2/2016. Basehunter’s Scott Peake and Kevin Rolfs are chasing tomorrow in Mississippi. 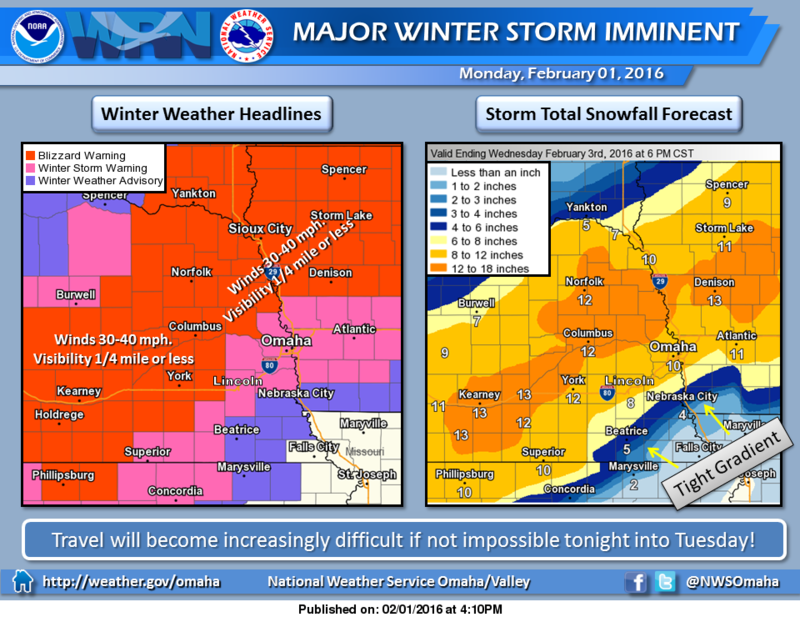 Currently there are still blizzard warnings out for parts of Kansas, Nebraska, South Dakota, and Iowa. 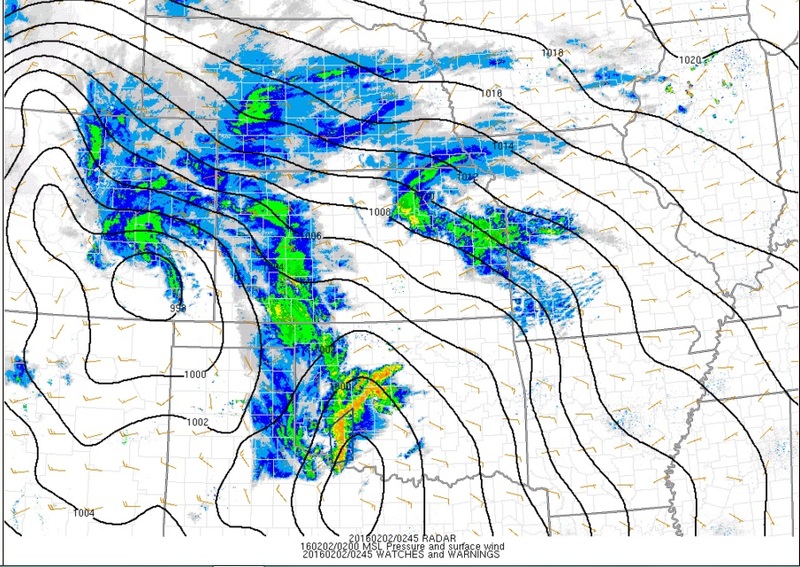 The low pressure system is deepening and aligning with the upper level low- increasing the snowfall rates and severe threat for tomorrow. 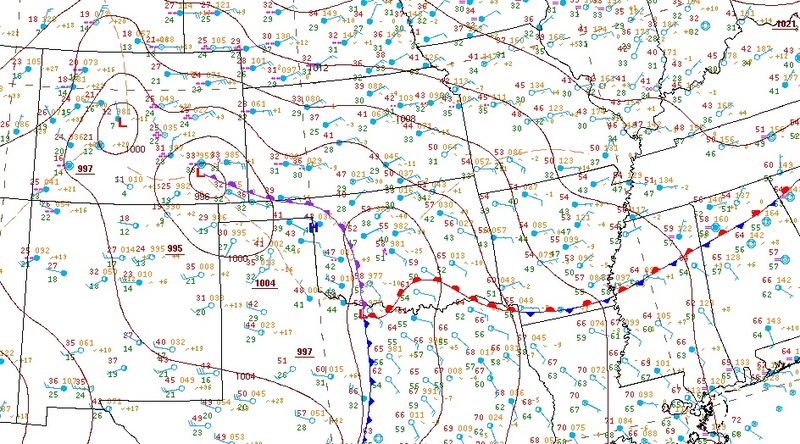 Here’s a more detailed analysis from http://www.wpc.ncep.noaa.gov/ showing the low pressure in Colorado as well as the severe weather setup for current storms ongoing in Oklahoma north of the warm front (there have been severe thunderstorm warnings tonight in SW OK). 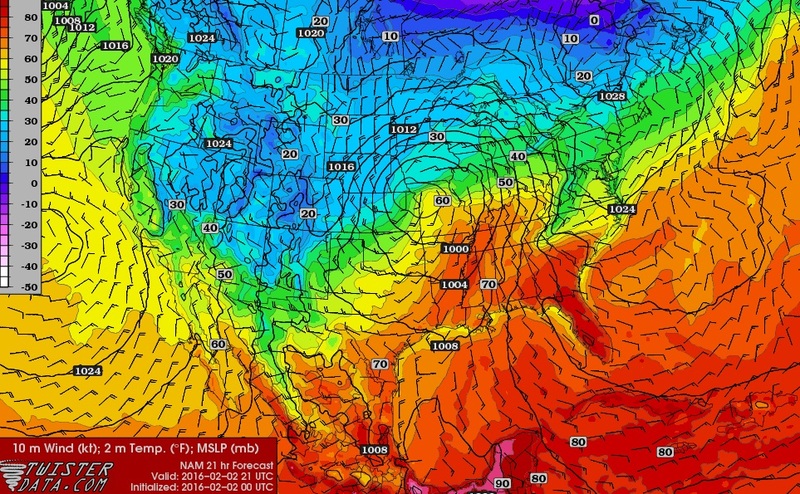 Tomorrow, the low is forecasted to progress eastward. 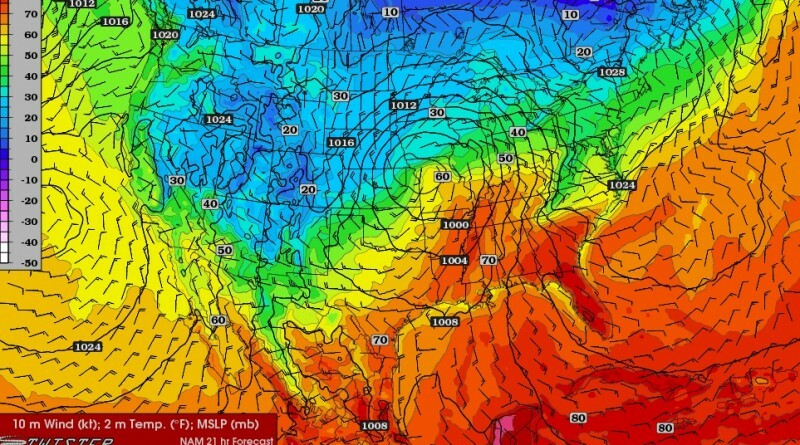 In the warm sector, conditions are such with the upper level low and ample moisture being drawn in from the Gulf of Mexico, for a potentially interesting severe weather event. 00Z Forecast soundings from the HRRR at 11am CDT tomorrow show a very interesting thermodynamic profile and hodograph favorable for tornadoes in Mississippi. 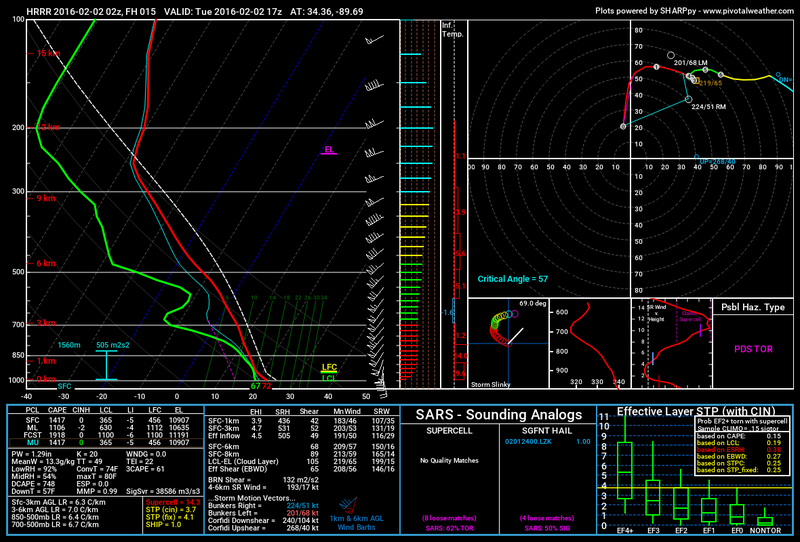 HRRR forecast sounding from Mississippi showing ‘PDS Tornado’ as the possible hazard type. 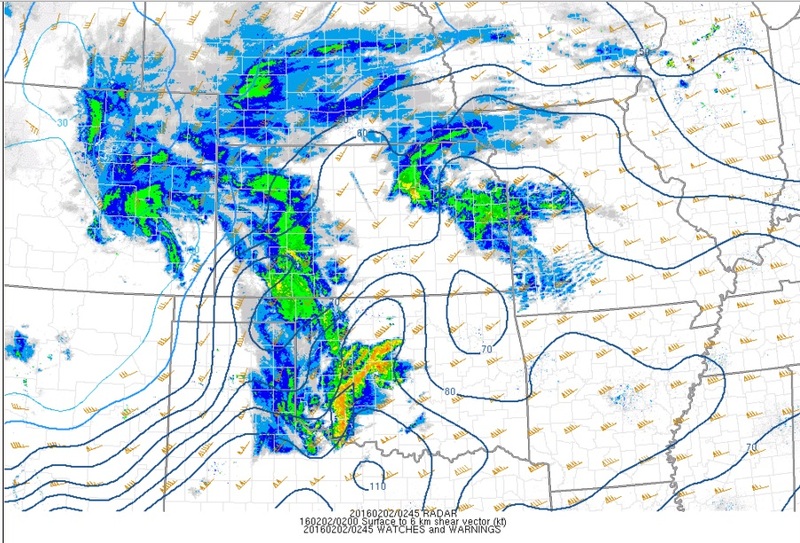 SPC Mesoanalysis showing strong shear in and around the warm sector. The NAM at 21Z (3pm Central/ 4pm ) has plenty of Bulk Shear as well (this is very likely given the current upper level winds). 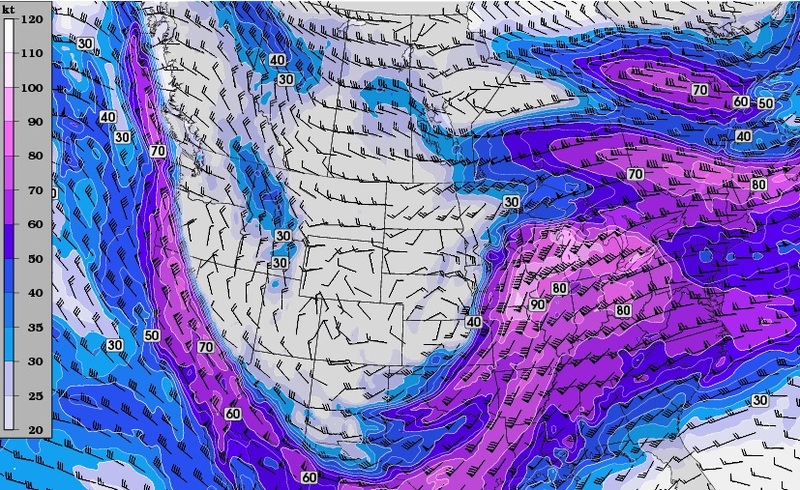 The Southeast is no stranger to tornadoes in winter. Large hail and damaging winds are also a hazard tomorrow.